Another 3 months plus only and we will celebrate the year of the Fire Rooster. Times flies so fast and this is a gentle reminder that all of us must start our savings and clean up the house to celebrate the most auspicious days in Chinese Calendar. 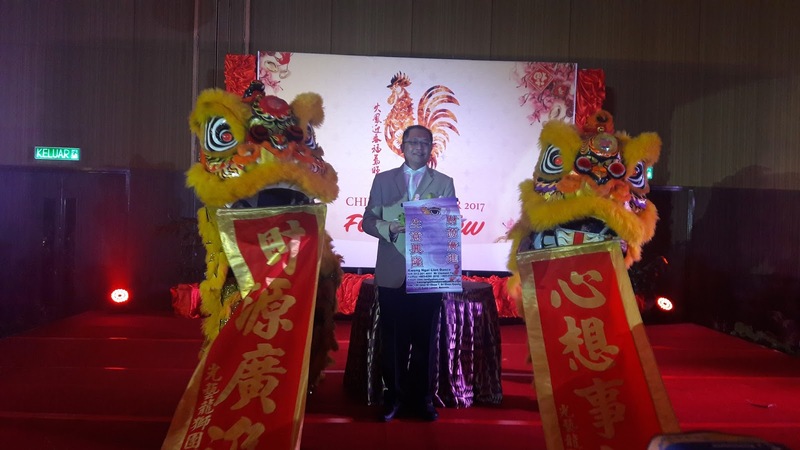 In conjunction with the celebration which will take place on 28th January 2017, China Treasures restaurant which located at Sime Darby Convention Centre ("SDCC") will be ushering the Year of the Fire Rooster early with festive set menus beginning from October 2016 to 31 December 2016. For a small family of 5, you can have the package of RM338 nett if you bought the vouchers this month, RM408 nett for November and RM458 nett for December. These value-for-money vouchers are valid to use from 1 January 2017 to 28 February 2017. For that price, some of you might ask me what is in the menu. All set of menus will include dishes associated with prosperity, luck, success, love and wealth which are the characteristics commonly associated with the Fire Rooster. So, after having the food at the menu, I'm sure all of you will get all the characteristics for the year of 2017 which is a must to have have as we celebrate our new year. Diners can look forward to create our own feast from the menu with selections. Do check out the dishes from my post here. The popular Yee Sang package is also available for dine-in and takeaway from as low as RM98 nett. For Yee Sang deliveries, it will be available from RM108 nett onwards. For personal or corporate celebrations at the restaurant, private rooms or the newly refurbished Grand Ballroom in SDCC can be made for group bookings. China Treasures is open daily for lunch from 11.30 a.m. to 2.30 p.m. (weekdays) and from 10.00 a.m. to 4.30 p.m. (weekends and public holidays). For dinner from 6.30 p.m. to 10.30 p.m. This halal-certified restaurant by Jabatan Kemajuan Islam Malaysia (JAKIM) can accommodate up to 200 persons and it also has 6 private dining rooms that can accommodate between 8 to 70 persons. Special banqueting packages for Chinese New Year Open Houses and outside catering services are also available. Do book early to avoid disappointment. For reservations, please call China Treasures at 03-20893788 or email to them at chinatreasures.sdcc@simedarby.com or for enquiries, do call them at 03-20893688 or email at enquiries.sdcc@simedarby.com. 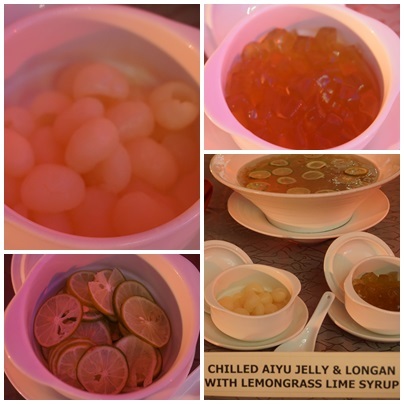 Thanks to China Treasures and Sime Darby Convention Centre for having me and my hubby there for their food review. If might be a bit early but as I mentioned, early birds will always get the best. The food was delicious and each of the dish was finely prepared that symbolise best of everything that might brings to you and your family for the Year of Rooster, 2017. Since me and my hubby were the first few fortunate one that had tried all the yummylicious dishes there, hubby said will bought the voucher within this month so that we can have it with our Little Angels instead for our family reunion dinner to save more. So, plan your reunion lunch or dinner now so that you can have the best food and save more too. shall let dear know this soon!! Sherry, remember to get the voucher now for discount up to 50% for your reunion dinner. again seeing this post as wanna show my dear. How early! I really do not wish to be reminded that Chinese New Year is just around the corner because it means plenty of work and much money out of the pocket. But the food is making me drool! Emily, it is a good reminder for all of us. Do get your voucher early ya to indulge with the great food. Yana, the sweet and sour sauce really taste good to eat with the fresh big prawn. Wao ! So fast CNY food review ! The food looks so luxury ! May, early bird catch the worms. So, get your voucher earlier to enjoy the discount. What a lovely dinner for the upcoming CNY dear and the prawns looks very tempting indeed. Can't wait for the festivities to begin! Miera, thanks. Great feast to begin with. Mummy, on behalf of Sime Darby Convention Centre, we are glad to have you & hubby savoured our food. 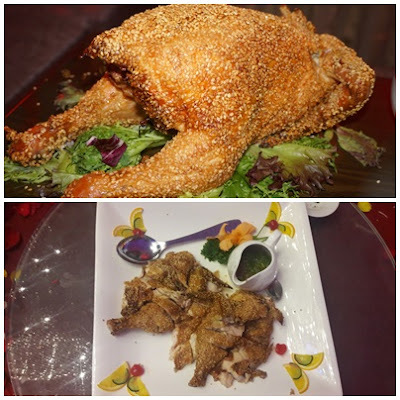 To all out there, since next year will be the year of Fire Rooster, grab our promotions fast.... "early bird catches the worm..."
looking for my comp CNY dinner thanks for sharing tho!